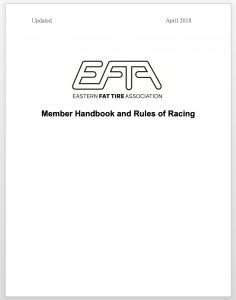 The EFTA Handbook, also refereed to as the “Rule Book” is updated annually. All updates are discussed and voted on at the annual EFTA board of directors meeting. Any rule changes will be announced publicly on the website and via social media. All racers and promoters should familiarize themselves with the handbook at the beginning of each season.